KOBE, Japan _ Andres Iniesta made his debut in Japan on Sunday for Vissel Kobe but his new team went down 3-0 at home to Shonan Bellmare. 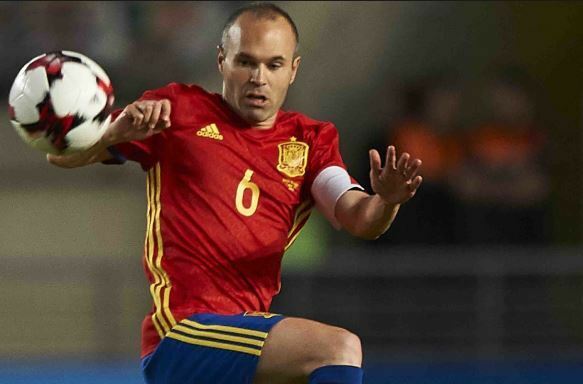 Keisuke Saka and Mitsuki Saito scored to give the visitors a 2-0 lead before Iniesta came on as a 59th-minute substitute. But Shunsuke Kikuchi added another in the 67th to put the result beyond doubt. The 34-year-old Iniesta had his first touch in the 62nd minute, as he received a pass inside his own area before dribbling to halfway and passing to Takuya Yasui on the wing. Iniesta created a chance when he sent a through ball that found Wellington inside the box in the 89th minute but the Brazilian's shot was deflected out for a corner. Iniesta, who trained with his teammates for the first time Friday, is expected to make his first J-League start when Vissel play Kashiwa Reysol at home on Saturday. Iniesta scored the winning goal for Spain in the 2010 World Cup final. He also was a key part of Spain's two European Championships in 2008 and 2012. Elsewhere, Iniesta's compatriot Fernando Torres made his debut for Sagan Tosu, coming off the bench early in the second half of a 1-0 loss to Vegalta Sendai. The former Liverpool, Chelsea, and Atletico Madrid forward looked right at home with two scoring chances in the second half.